The following Cambridge airmen died while serving in the Royal New Zealand Air Force or other Aliied Air Forces during the Second World War. Not every one of them appear on the Cambridge Cenotaph, but they all have a connection with Cambridge, having either been born in the Cambridge district or they had lived in the town for a period before the war. Click on each name for further individual details. 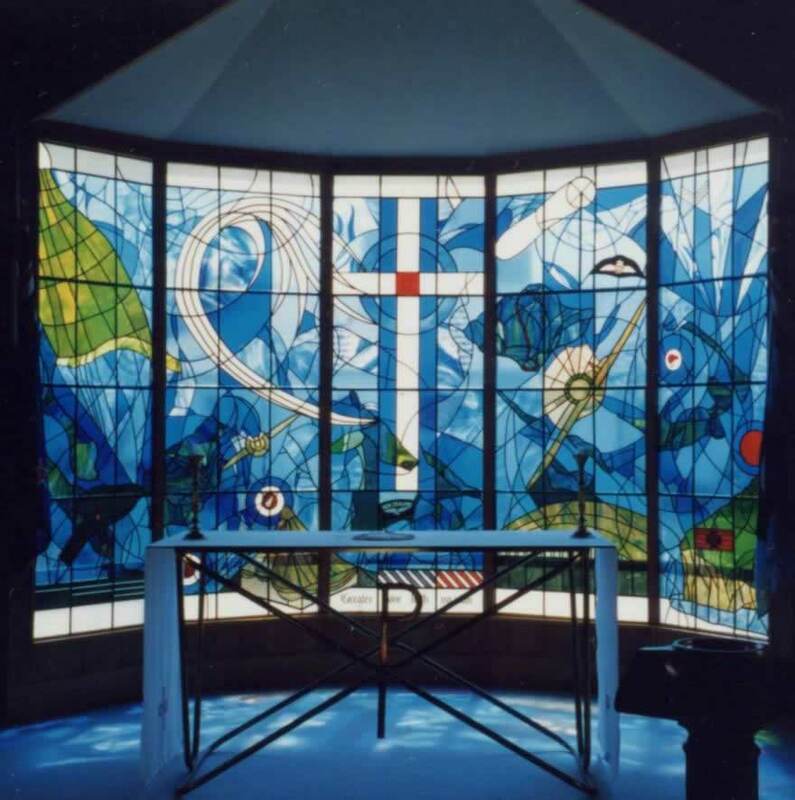 The accompanying photos are of the memorial windows in the RNZAF Base Ohakea Chapel, photographed in 1993 by Dave Homewood.